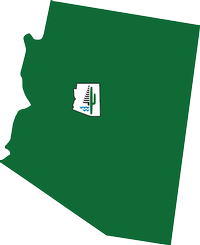 Arizona State Parks & Trails has a new team, new attitude, and is a renewed agency that's working at the "speed of business" to get new projects off the drawing boards and into the parks. Keep track of all the great development work going on across the state and check back for regular updates, photos and videos of our progress. 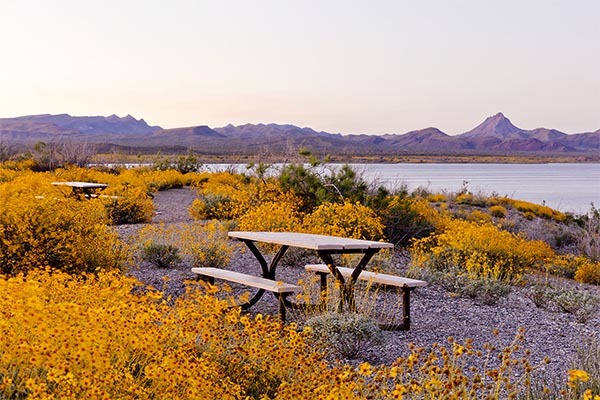 Alamo Lake State Park is one of the best places to fish for bass in Arizona. The crystal clear lake is surrounded by mountainous terrain speckled with brush, wildflowers and cacti making for a visually pleasing experience. The park has good wildlife viewing opportunities, and you may spot a bald or golden eagle. This update will expand recreational opportunities to the parks visitors. 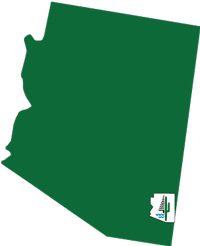 Working in cooperation with the Arizona Game & Fish Department, this project is underway, with an expected completion date in May of 2017. 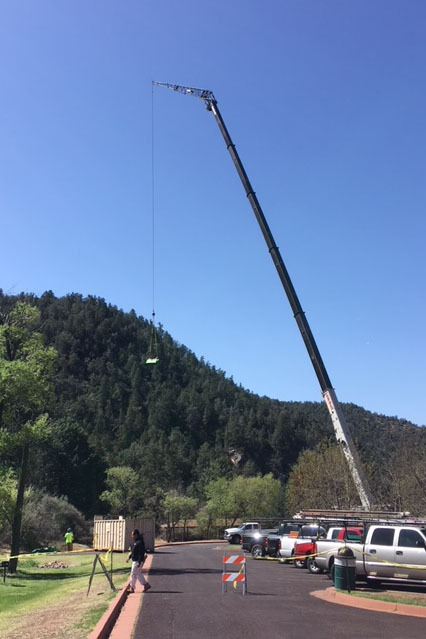 This project will help to maintain and operate the restroom facilities at this park. 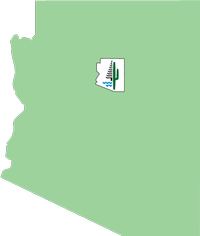 Buckskin Mountain State Park and its River Island Unit are water based, high intensity, recreation areas along the Colorado River two miles below Parker Dam. The high-intensity recreation use occurs from March through October each year. Then the winter visitors, who are retreating from the cold climate of the North and Midwest States, come and stay for most of the other part of the year. This Master Plan will lead to new development creating new facilities and recreational resources for park visitors. Project Progress - 7/24/17 – Areas for storage of projects equipment are being prepared at the site. 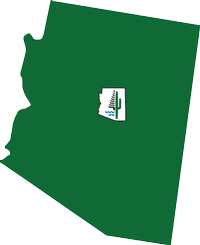 This exciting, first of its kind partnership between Arizona State Parks & Trails will feature a public boat launch ramp, wet slip marina, dry boat storage facility, waterfront restaurant and bar, parking and other recreational amenities for residents and visitors of the area. 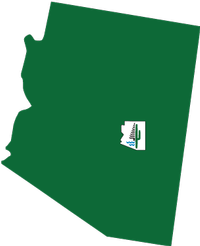 A Groundbreaking Ceremony was held on November 8, 2016 and included state and local leaders, Arizona State Parks representatives, local developers and businesses who celebrated this project, which will support jobs, economic growth, tourism and business development in the area. 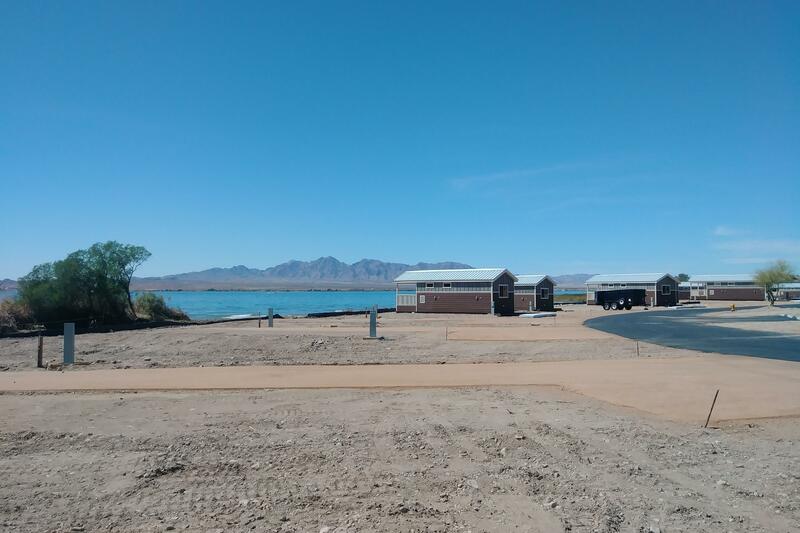 This park will be the fifth along the Lake Havasu River area, adding jobs, economic impact and access to numerous recreational activities. Check out drone video of the progress with road and ramp construction at the park. 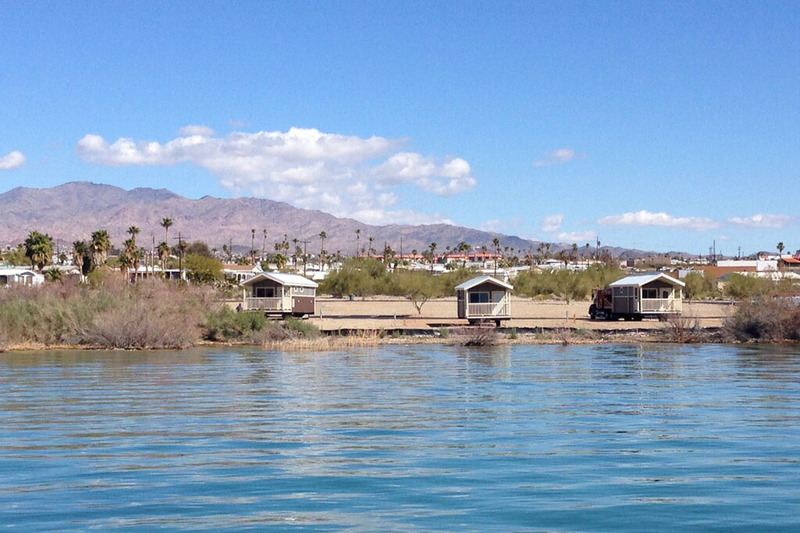 This project will add a number of cabins to this popular "West Coast" recreation park located in Lake Havasu City. 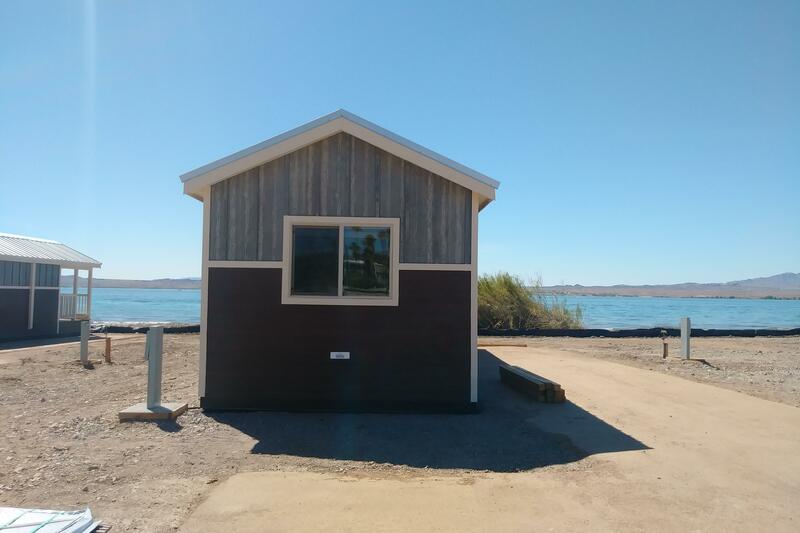 When completed in May 2018, visitors will be able to reserve tent, RV's and now cabin stays at this popular "West Coast" park. These new facilities will expand recreational opportunities to the parks visitors. Project Progress - 2/10/18 - Restroom/Showers are 50% complete. Road work is 50% complete. 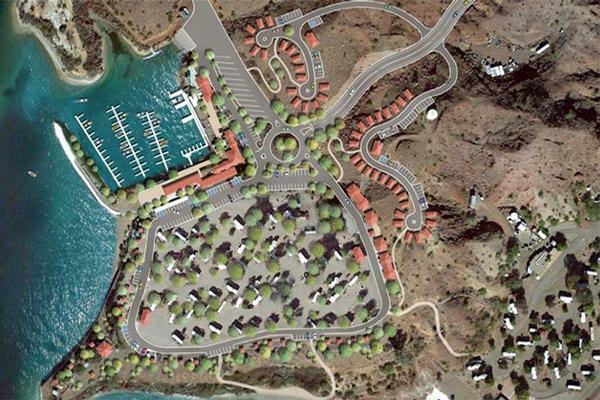 This project involves the renovation of the previous Sand Point Marina & RV Park. 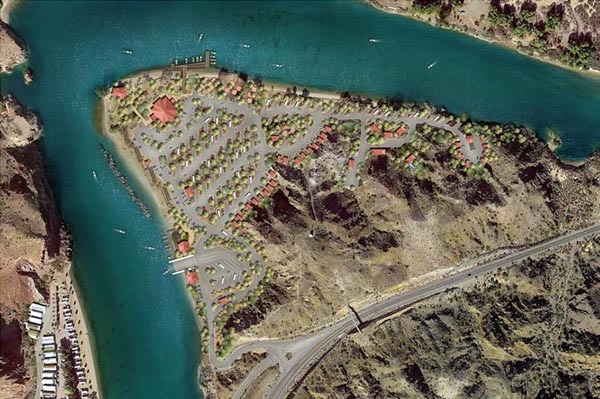 The new park will include new: Campground roads, RV electrical/water supply, restrooms/shower facilities, marina, docks and boat launch, restaurant/bar, boating, concession building and cabins. Work has been completed to clear the space in preparation to begin development. 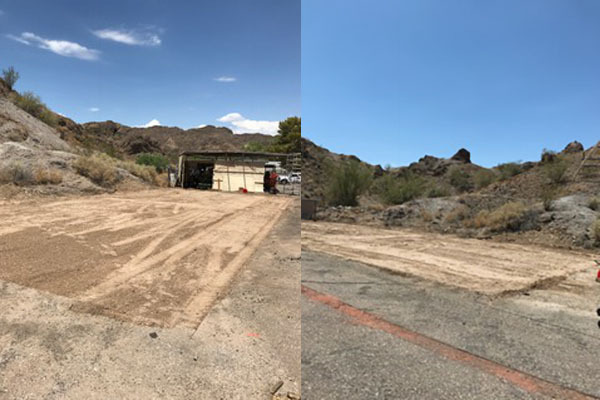 Work was recently completed to clear the site in preparation for future work. 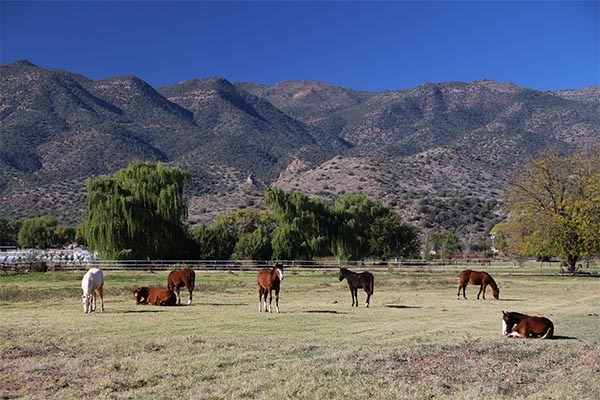 This park offers visitors a variety of recreational opportunities, including tent, RV and cabin campsites, water activities in the ponds and along the Verde River, fishing & horseback riding. Additional camping area restroom and shower facilities are planned. 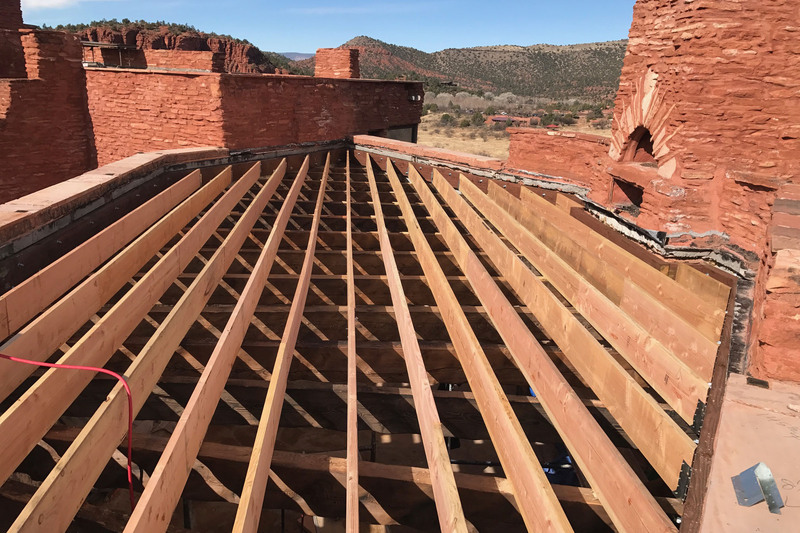 Design work has been completed and we are now in the construction phase to stabilize adobe on the exterior of these historic fort buildings. Expected completion date of July 2017. Project Progress - 3-15-18 - Design work is 100% complete. The resurfacing of the parking lot has been completed. Work on the historic Douglas Mansion to repair and replace portions of the roof is already in the construction phase. Work is expected to completed in early 2018. 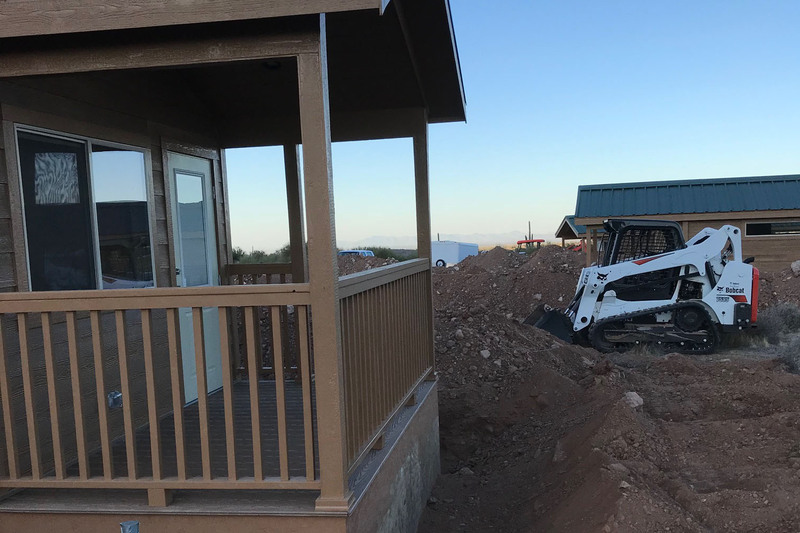 Work to prepare the sites for the first of five new cabins has begun in the Northeast corner of the park that will offer spectacular views of the Superstition Mountains. This project will work to restore the roof of the home, originally built in 1947 as a retreat for Jack Frye, the President of TWA. Restoration of the home will allow use as an event or "Special Use" venue. This project will develop an Outdoor Education Center in the grounds near the Miller Visitor's Center. The center will host various events including educational programs, concerts and private events throughout the year. The Riordan brothers built this mansion, one of the most beautiful examples of American Arts and Crafts-style architecture open to the public today in 1904. 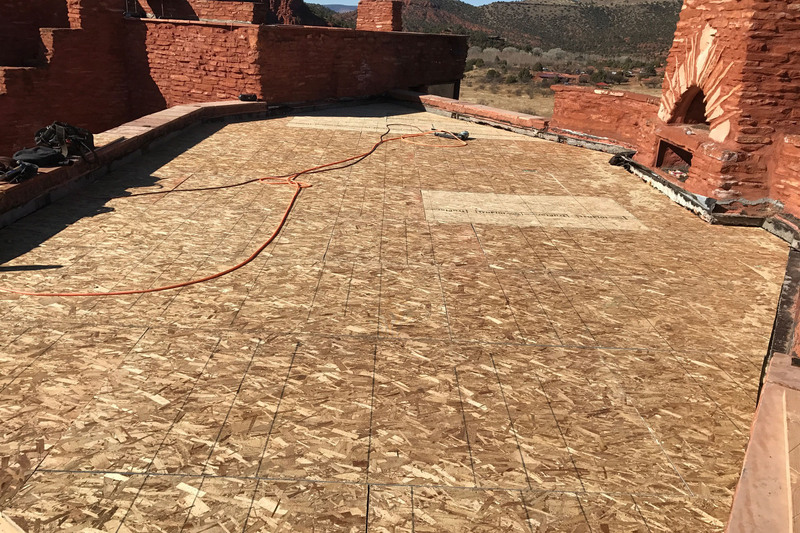 Upgrades to the home include restoring porch decking, the roof and adding a new fire suppression system. 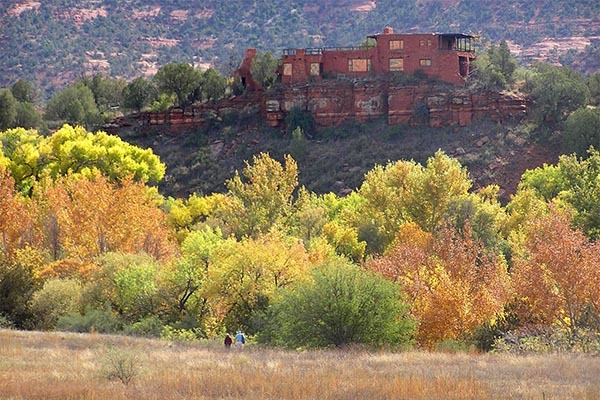 A master development plan will be created to develop this 211-acre property into a recreational facility supporting: Tent/RV camping, cabins, outdoor event venue, equestrian event pavillion and access to the Verde River. 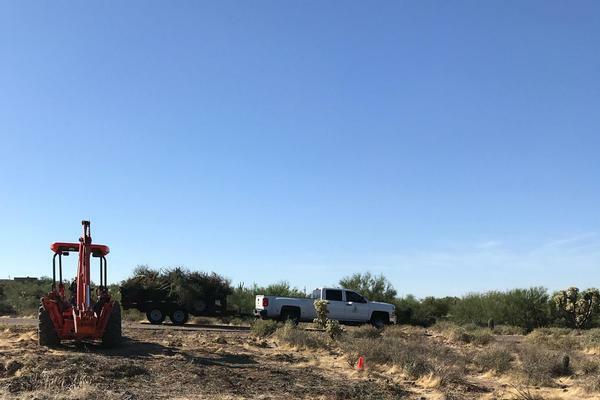 Project Progress - 2-2-18 – Work continues to prepare the site for development. On Saturday, April 22, our newest resident, a new baby Foal, was born at the ranch. Check out the video and stay tuned for future updates. This project is renovating two original cabins at the park that will eventually be open for public tours. They will include photos and interpretive signage relating to the history of the area and cabins. Work on the roofs of both cabins is now complete. The Pendley House roof is coming along as well. Great job, team! 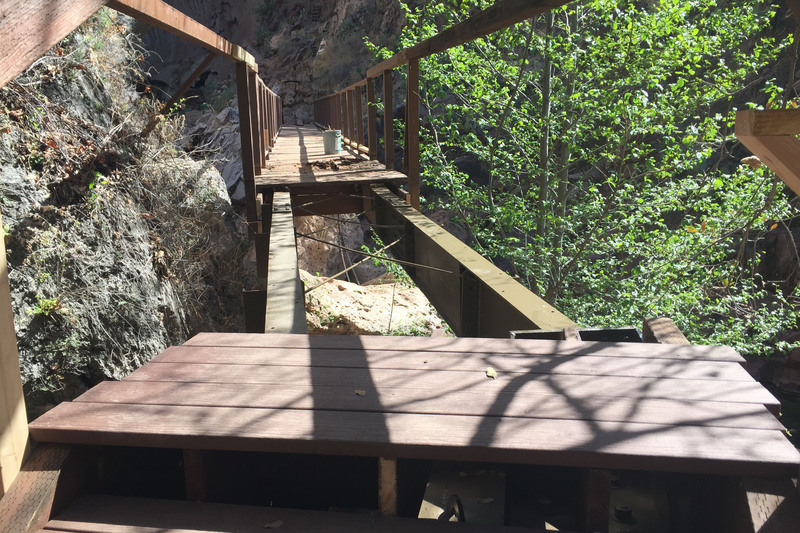 The Pedestrian Bridge, located at the end of the Gowan Trail, allows visitors to walk over Pine Creek to the lower bridge opening. 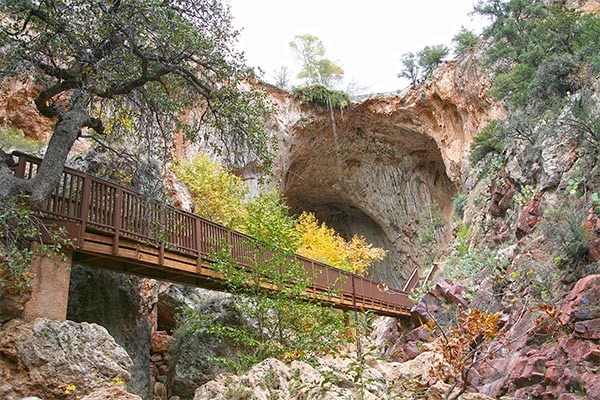 The bridge provides access over the creek to an Observation platform with views of the grotto and waterfall areas. 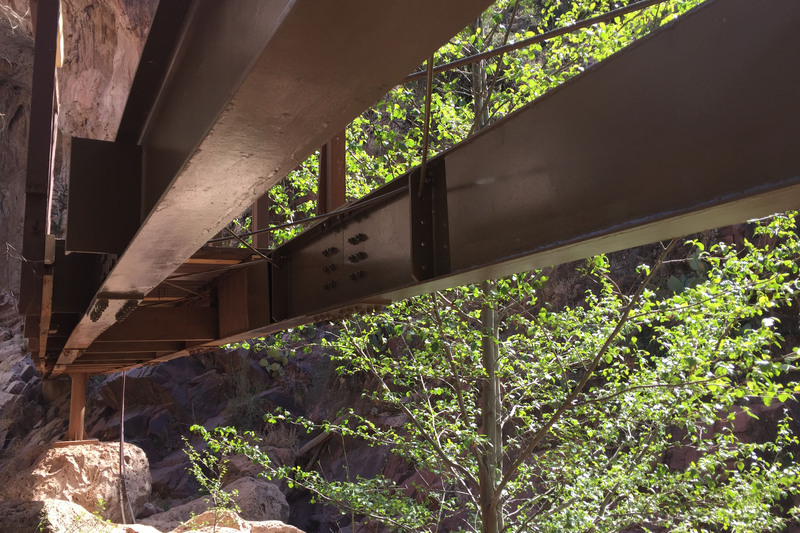 There is also access to the Pine Creek Trail, which passes under the bridge. Work to replace the bridge will begin in 2017. Work to restore the bridge is complete! We are currently in the procurement stage for architects to create the overall plans. This project is expected to be completed by spring 2019. The Southern Region Construction Services team, park staff and volunteers helped to remove overgrowth around the water to provide better access to boats and fishing. Here, before & after images show the improved areas accessible to visitors. Additional cleanup is planned and some of the removed Cattails were even donated to a local school for art projects. 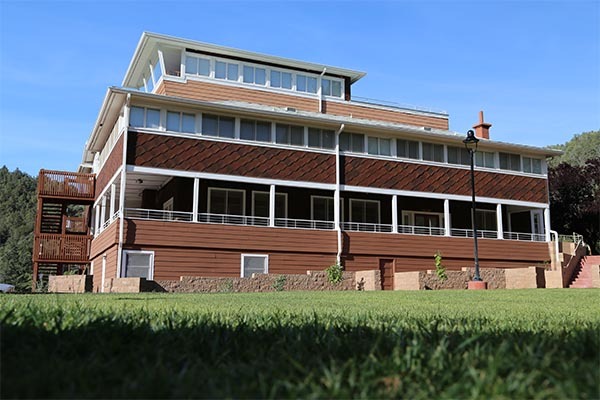 This year, numerous updates to the exterior of the park have been underway, including replacing the park master sign, repairs to the front deck, new stairs, a new rear gate and a full repainting of the building and windows. A new wall along the back of the park and repairs to the roof are also planned. 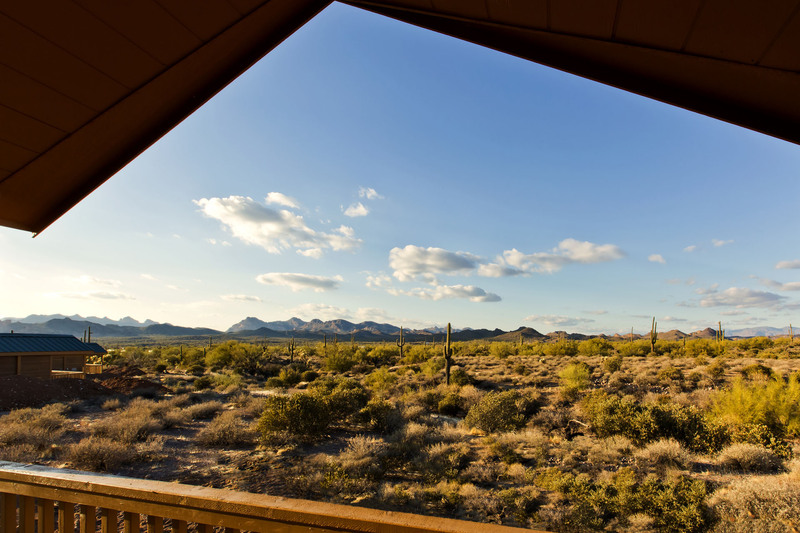 The park features hiking, mountain biking, historic home tours and excellent star gazing opportunities. Named as one of the 47 Dark Skies Park locations world-wide, it's evening Star Parties offer amazing views. This work will upgrade facilities within the park. Project Progress - 10/17/17 - 100% Design Approved. 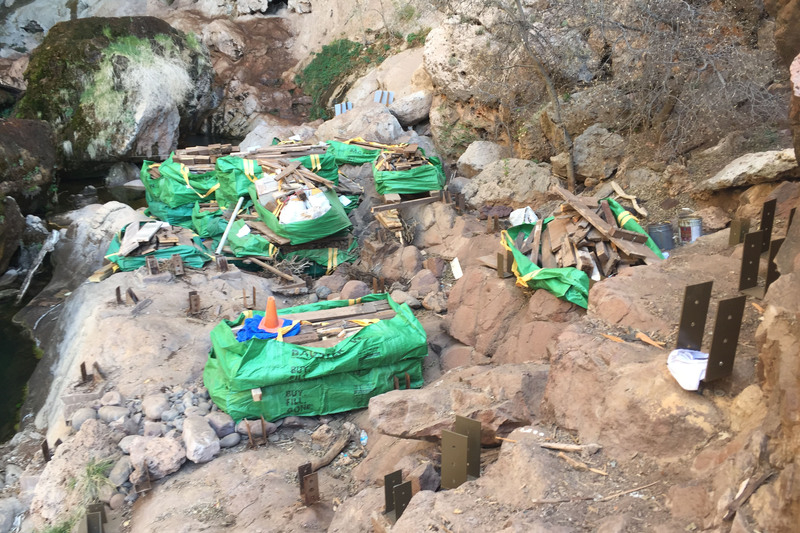 Work has begun to prepare the area within the park to accomodate overnight group camping. 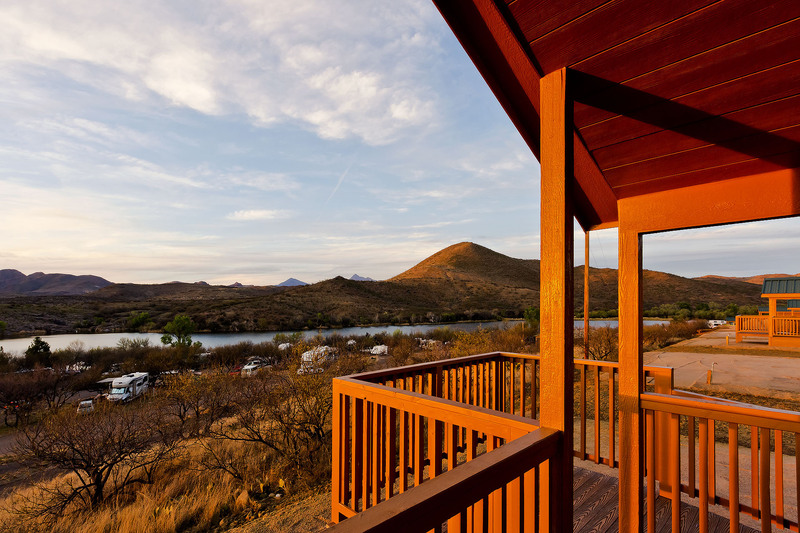 This project will add four cabins around Patagonia Lake. Once completed, visitors at this recreation park will be able to book overnight stays in tents, RVs or cabins. 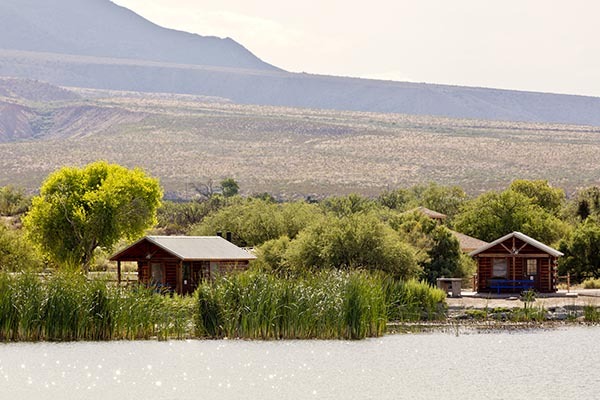 Roper Lake is located approximately 6 miles south of Safford and consists of a 32-acre lake. 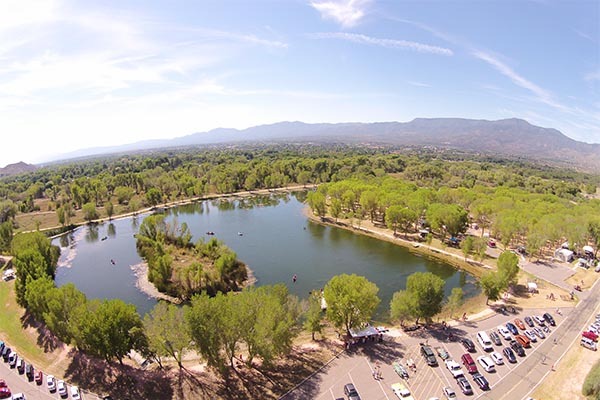 The main part of the park, located around Roper Lake, was developed in the early 1960s as a private recreation area. Built in 1882 in the "Town to Tough to Die", the Courthouse floors were in need of a refresh. The original flloring was carefully sanded down, repairs were made, and the entire surface was refreshed, showing off a look not seen in more than 135 years. 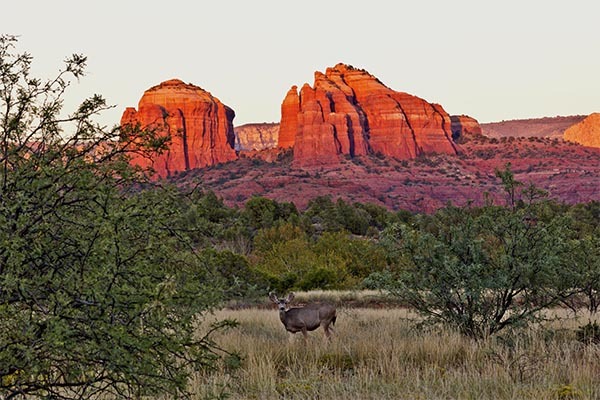 Arizona's first State Park, celebrating 60 years of preserving history in the Southwest. 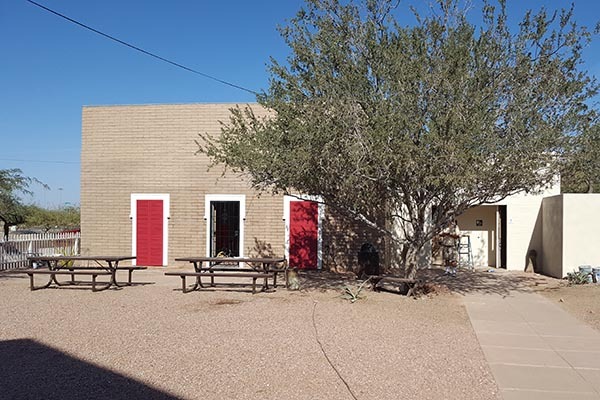 This gem in southern Arizona has been getting facelift this year with updates to the exterior. 100 new cabins are planned for distribution throughout the state. Each unit features 250 sq. ft. of living area in two-rooms, electric heat and A/C, a covered patio and access to your own picnic table and fire ring. 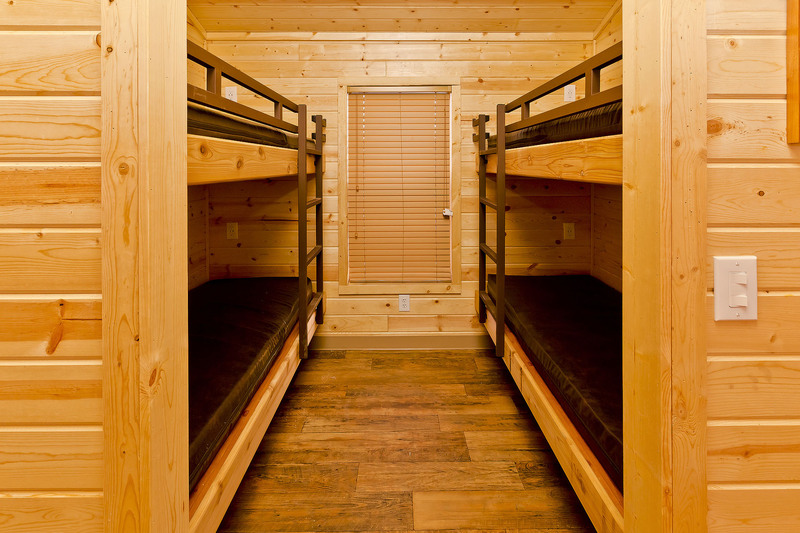 These units will share community bathroom/shower facilities located adjacent to each group of cabins. 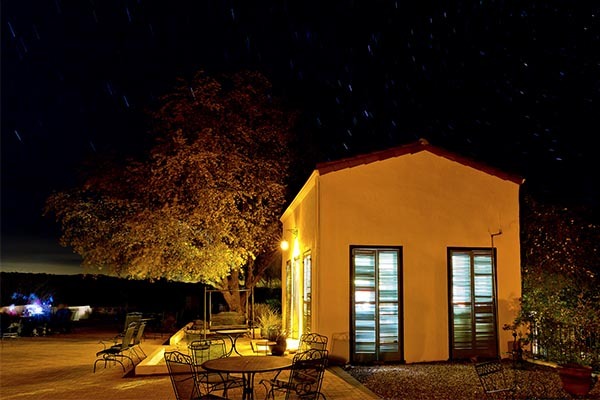 Four new camping cabins were recently added to Kartchner Caverns State Park. 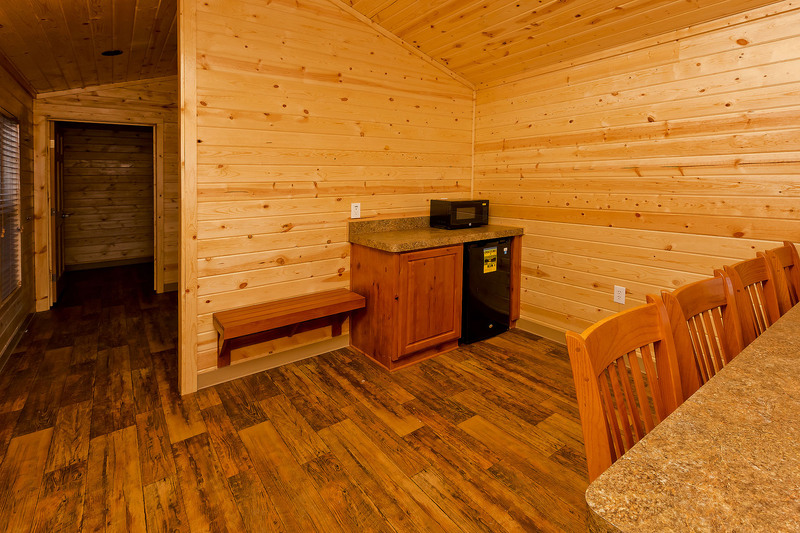 These units also include a microwave and mini-fridge with ADA accessibility. 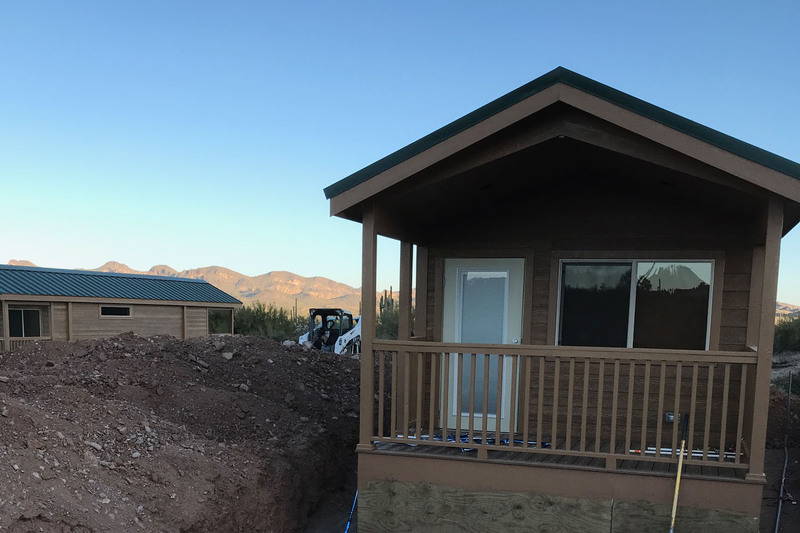 Project Progress - 9-10-18 - Cabins have been installed at Kartchner Caverns, Patagonia Lake, Lost Dutchman & Lake Havasu State Parks. Take a moment to review a couple of great projects we've completed, then look through what we have lined up! 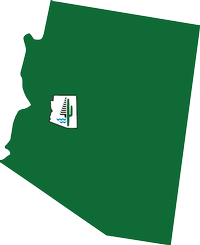 This updated facility located just off the Black Canyon Freeway (I-17) and Pinnacle Peak Rd. 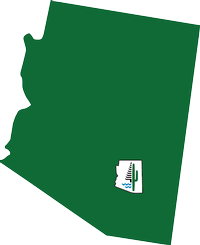 in North Phoenix offers visitors access to recreational resources from across the state. Find information from our partners at National Parks (NPS), Arizona Office of Tourism, Arizona Game & Fish and others. 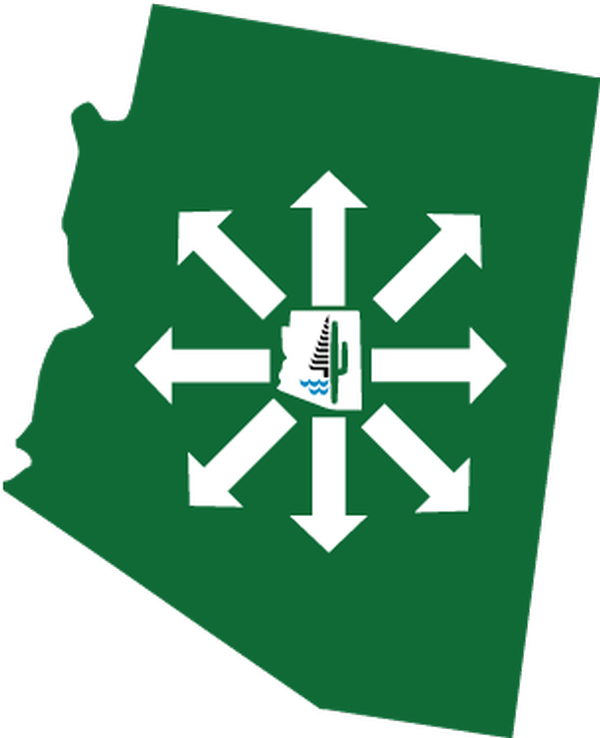 Make camping or cabin reservations at a state park, pick up information about attractions throughout Arizona or visit our park store and stock up on a wide selection of "Local Arizona" souvenirs. The building, completed in 1927, is an 11-bedroom/four-bath, 9,000 sq. ft. guest lodge, built by David Goodfellow. An outdoor lawn area is available for private functions and the building includes a kitchen and dining room. The third floor, when made available, will include an indoor/outdoor observation deck. 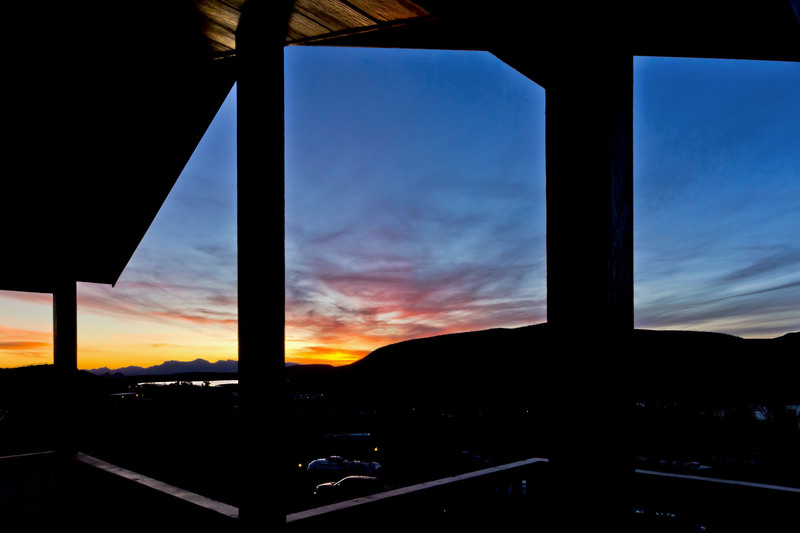 The Lodge will be available the end of May for special event & overnight stay rentals. 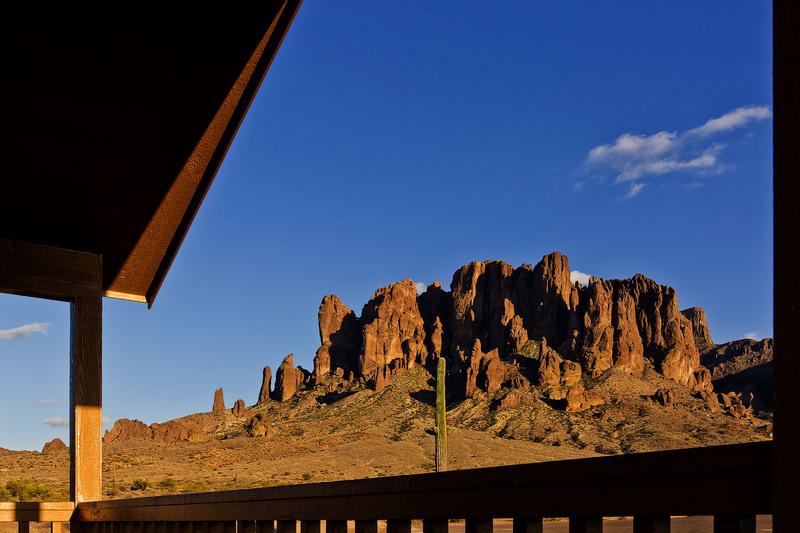 Visit the park website for more information and to make reservations at AZStateParks.com/Tonto. 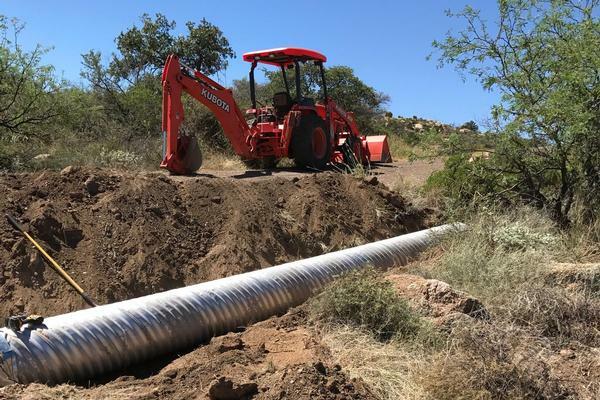 This multi-year project, completed in cooperation with our partners at Arizona Department of Transportation, added much-needed expanded access to the lake and Colorado River waterways. The new ramp supports up to six vehicles at a time, loading in and out large boats and other watercraft. A new dock also supports up to 18 boats at a time, for loading/unloading passengers. A new parking lot that accommodates more than 60 vehicles with extended trailers and an access road compliment the update. 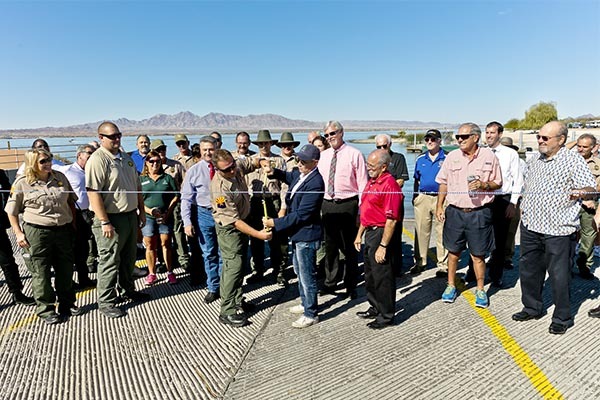 On hand for the dedication ceremony were state and local legislators and officials, Arizona State Parks & Trails officials and staff, community/business leaders, and the public. 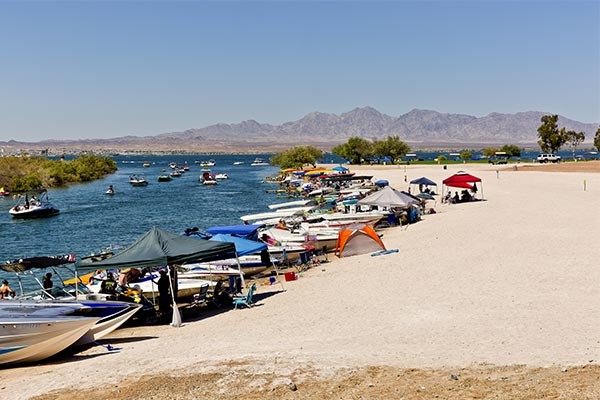 Since opening, an average of 200 more water craft are efficiently moving in and out of Havasu's crystal blue waters each day. For more information, please visit the parks website at AZStateParks.com/lake-havasu. 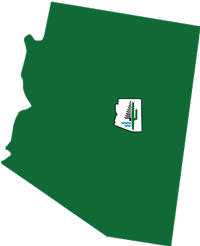 Granite Mountain Hotshots Memorial State Park - 11/30/2016 - UPDATE! 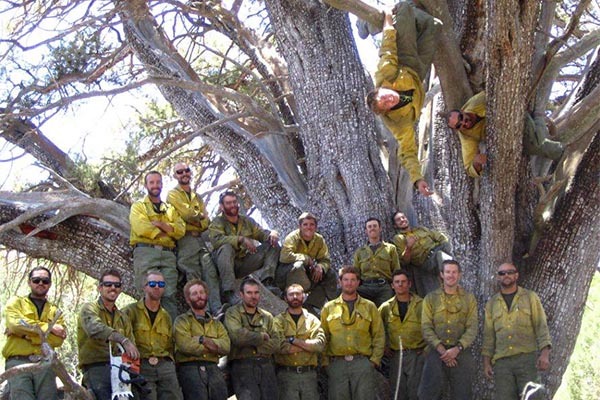 The creation of Arizona's First Memorial State Park to memorialize the 19 Granite Mountain Hotshots we lost to the Yarnell Hill Fire on June 30, 2013 was a labor of love for ASPT staff, vendors, donors and supporters. 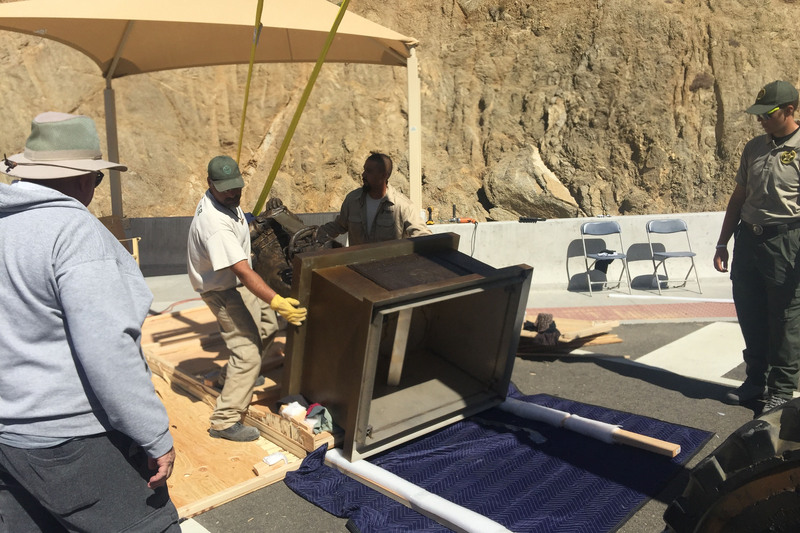 A Memorial Site Board and sub-committees, made up of family members, the general public, state and local representatives, state agencies and firefighting professionals worked for nearly two-years to plan and develop the park. 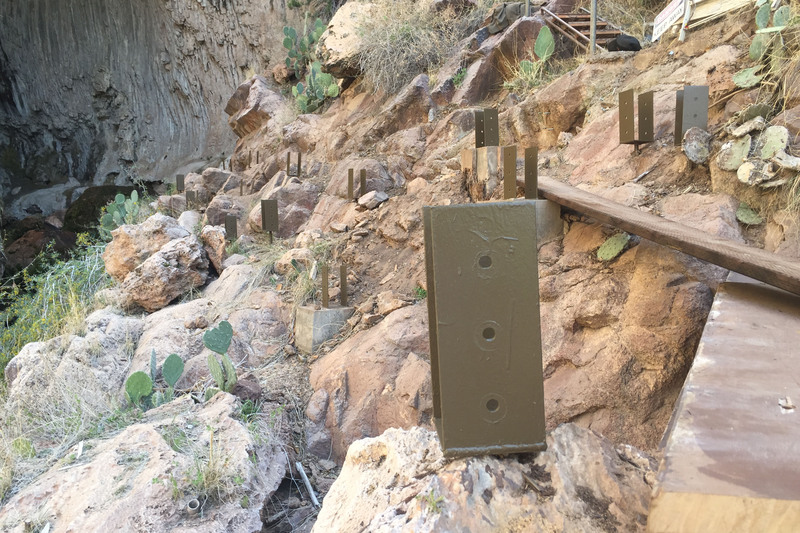 Thanks to a generous donation from the Arizona Public Service Foundation in June of 2015, work began to complete the parks trails, memorial plaques and other elements that visitors would see when they visit. 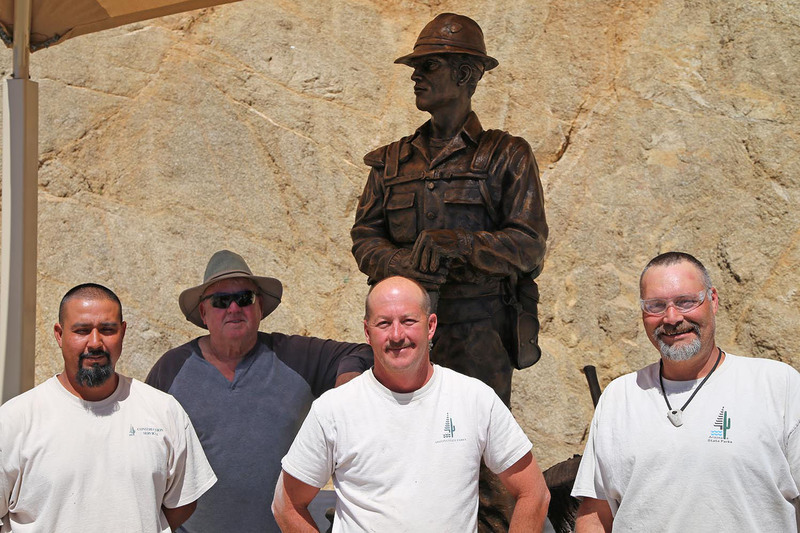 The park was designed by the Board and Committees to offer visitors and hikers an opportunity to walk in the footsteps of the Hotshots, learn about the sacrifice they made and offer their thanks. 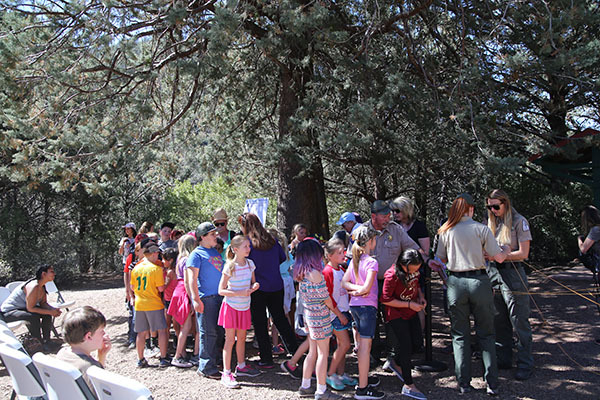 The 2.75-mile Hotshots Trail includes 19 granite plaques embedded into boulders along with benches and interpretive signage that educate hikers on the important service that Wildland Firefighters provide in protecting lives, property and our outdoor spaces. 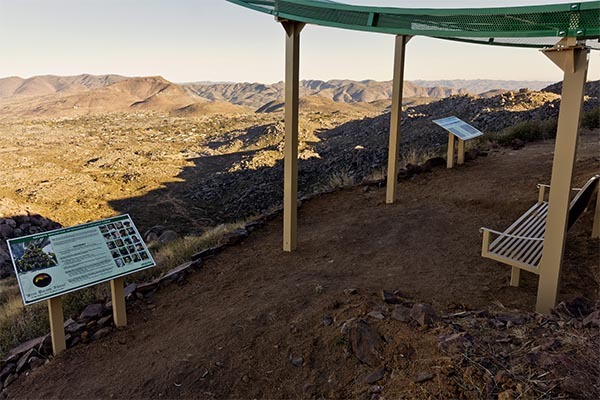 At the end of the Hotshots Trail, the Observation Deck looks out over Yarnell and down to the Fatality Site below where the 19 Hotshots made their last stand against the fire. 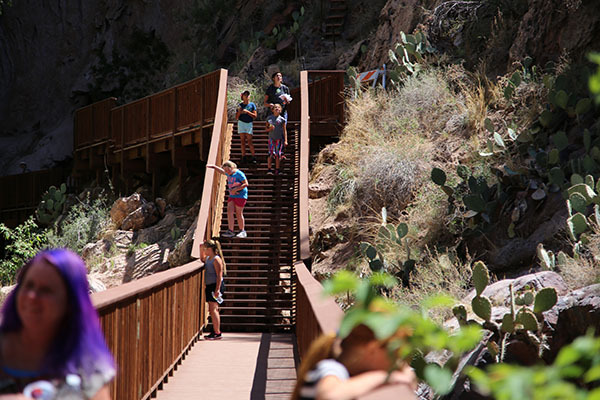 Additional interpretive signage help to inform visitors on the events of the fire, as they make their way down to the memorial markers, surrounded by steel gabion baskets that are connected by chains to symbolize the eternal teamwork and connection the Hotshots exemplified life. To learn more about this park, please visit AZStateParks.com/hotshots. 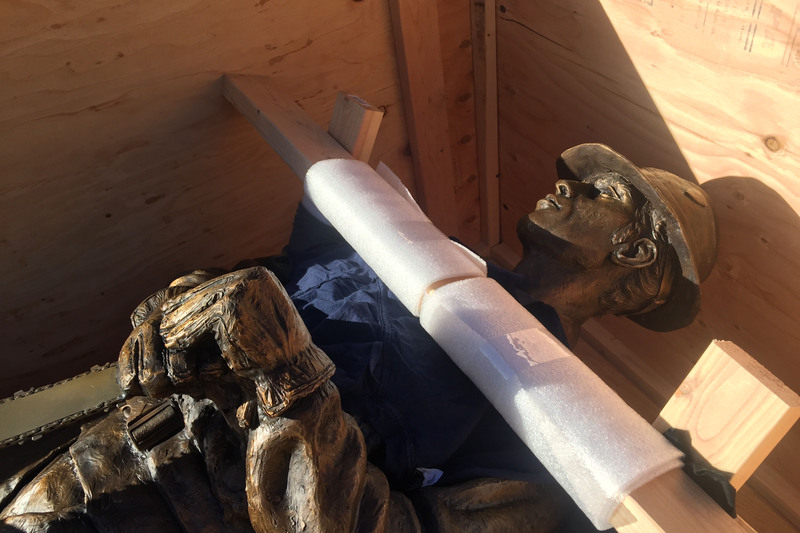 Project Progress: 4-18-18 - A bronze statue was installed at the park, a donation from the Wildland Firefighter Guardian Institute and the Facebook Watch show "Returning the Favor". 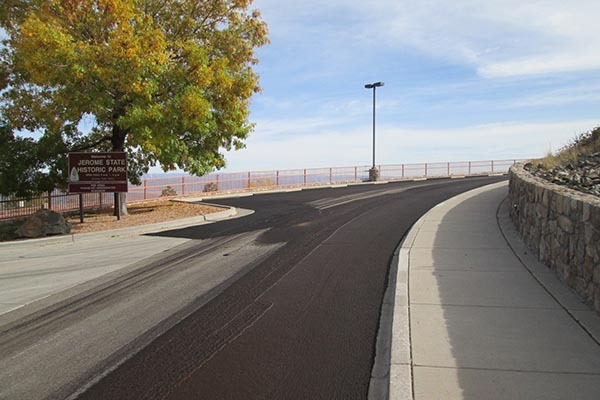 Road repair, crack sealing and resurfacing was completed along campground access roadways.